ScrapingExpert is an ‘Off the Shelf’ Web Data Extraction tool for Scraping Data from the web related to Prospects, Price, Competition & Vendors for specific business purposes. The benefits of using ScrapingExpert includes having a single place to purchase products for your Data needs. While being an Off the Shelf product decreases the go live time in addition to automation reducing human errors & more information in less time. The idea is to keep on creating the Best Web Scraping Software. Using ScrapingExpert Products; the Sales, Marketing & Recruitment can fetch Contact Information of Target Audience or Prospects as per Area, Industry, Offering & specific Keywords. While Researching ScrapingExpert Products can be used to identify Competitors in specific area, for specific products, their contact information, their product information, their offerings, reviews & ratings. ScrapingExpert Products can also be used by Pricing Research Team to fetch latest Product wise pricing of competitors for their own Pricing Strategy. While the Procurement Team shall successfully utilize ScrapingExpert Products to extract Vendor contact information for a specific service, raw material or product. Aruhat has always tried to build a work platform where their employee can monitor and achieve their professional goals, skill enhancement and their own potentiality, proclaims Mukesh Patel, Director & HR Head, Aruhat. Aruhat Technologies Pvt. 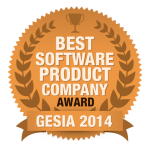 Ltd. has won The Best Software Product Company Gold Award at GESIA 7th Annual Awards for Excellence , 2014. Aruhat has been recognized for the competency demonstrated for TeleOSS, suite of products for MVAS delivery and highly satisfied client across the globe. Aruhat facilitates the reliable service delivery and technology agnostic platform to result in improved delivery throughput, lower TCO and improved customer experience. Aruhat Technologies Pvt. 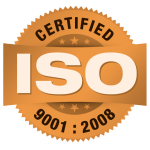 Ltd. is an ISO 9001:2008 certified Company. ISO 9000 is the internationally recognized series of quality management system standards issued to date in 180 countries. Certification is especially important to our strategic business plan as we continue to expand our efforts to compete in the online global marketplace.